Lichen, those drab, fuzzy growths found on rocks and trees, aren't as cuddly and charismatic as kangaroos or intriguing as opossums, but they could be a fungal equivalent, at least evolutionarily. A Duke research team has found that lichen that seem identical in all outward appearances and produce the same internal chemicals are in fact two different species, one living in North America and one in Australia. They're an example of "convergent evolution," in which two species evolve separately but end up looking very similar, like the Tasmanian wolf and the American wolf. The lichens developed the same adaptations to survive and thrive in vastly different regions of the world. Because they show the same evolutionary patterns as marsupials and mammals, but are easier to study, they could become model organisms to further probe how mammals and other groups of organisms evolve, said Duke biologist Brendan Hodkinson. "Lichen can often seem dull and uncharismatic, but these two species turned out to be quite intriguing," said Hodkinson, a graduate student in the lab of Duke lichenologist Dr. François Lutzoni. "They're like sugar gliders and flying squirrels or wombats and groundhogs. They're fungal examples of convergent evolution." Scientists originally labeled specimens from both continents Xanthoparmelia tasmanica, which, like all lichen, is a type of fungus that "farms" algae. 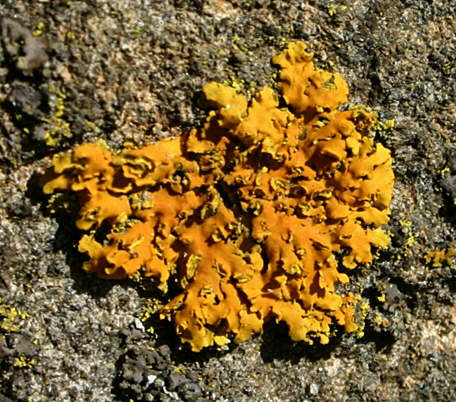 The lichen specimens were thought to be one species because they shared the same body plan and produced the same chemicals. But given the lichens' geography and the natural history of other species, some scientists still questioned whether the organisms were truly identical, even though previous tests showed that they were.